The Diva's Weekly Challenge #210: Spiralstring - that's the thing! 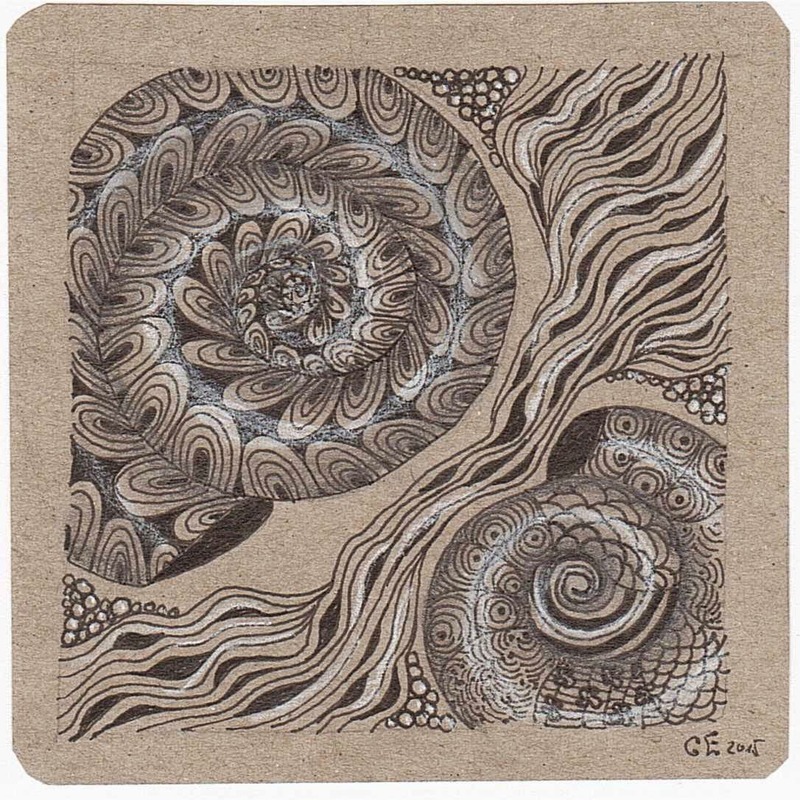 I like spirals very much, but I don't often use them - don't know why. So this challenge was a good occasion to turn around! Thank you for your nice comments and have a good week. I tried a Zia with spirals. The paper is a light grey sketching paper. Pens: Sakura Micron, Tombow Brush Pen, white charcoal and black pencil. Nicely done, I like the depth of your spirals. Did you a white or silver pencil to get the shine? It's a white charcoal pencil. Thank you for your nice comment. Beide sind wunderschön und wirken großartig auf dem grauen Papier! Toll schattiert und schöne Highlights! Schön ist auch der Hauch an Blau in deinem ZIA! Und Narwal passt hier perfekt! These are really elegant spirals and I think I learned something new----use a white pencil for shading to give added curve to tubes. Thanks! 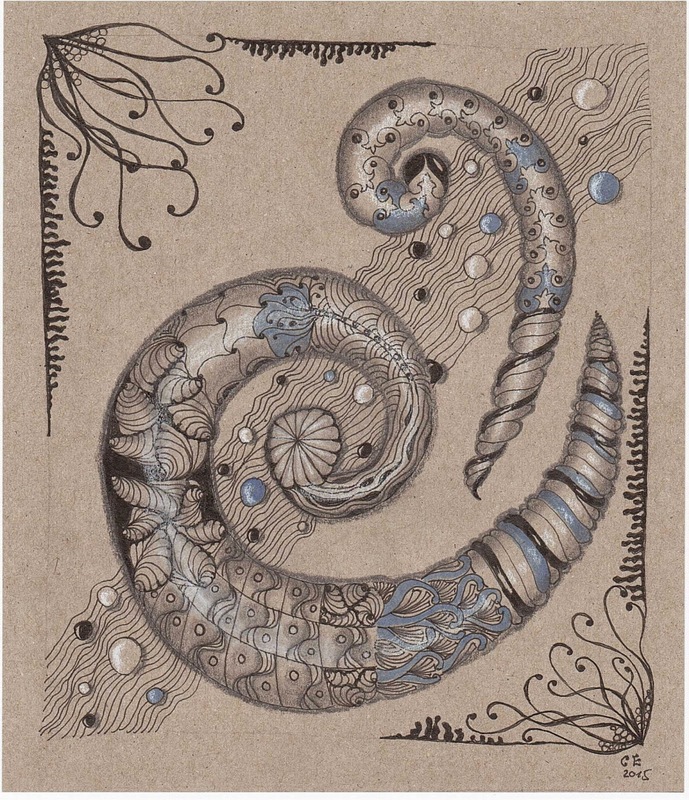 The first one is lovely and I very much love your 2nd spiral - it is so elegant!! I like them both, especially the Diva Dance between the two spirals. I love your dimensions in your spirals. Very nice!